Stainless Steel Whisk Set Just $9.99! Down From $30! You are here: Home / Great Deals / Amazon Deals / Stainless Steel Whisk Set Just $9.99! Down From $30! 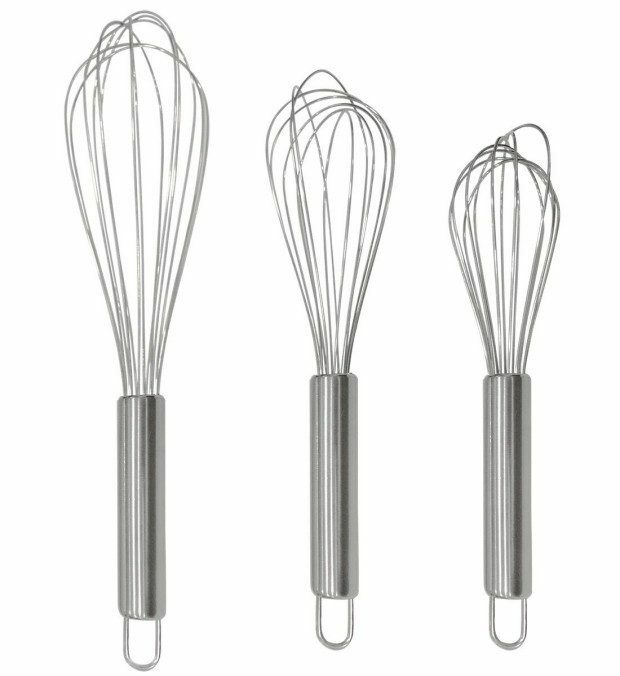 Head over to Amazon and get the Stainless Steel Whisk Set Just $9.99! Shipping is FREE for Prime members or on orders of $35+! Ouddy professional cooking utensil whisk set has sturdy wires handle heavy mixing projects, durable construction. Ouddy stainless steel balloon whisk set is rust resistant, dishwasher safe. Ouddy stainless steel balloon style whip is ideal for mixing eggs, sauces and topping. Ouddy Polished stainless steel wires and narrow shape are perfect for whisking in a small bowl or container. Sizes: large 12 inch, middle 10 inch, small 8 inch. Satisfaction Guaranteed for 100% Sure. Lifetime warranty for any issues. 5-star customer service. No Question Asked. We promise you are gonna get high cost-performance product. So why not give it a try ?